Two posts in one night! Lots of stuff happening! I will be there, with my camera, snapping pictures and getting some information for this here blog. Hope to see you there! Next Post Happy blogiversary to me! Hey, happy anniversary to you blog and wedding. I just wanted to say that your blog is great and to let you know there is a black cultural centre. You need to go to Nova Scotia though http://www.bccns.com. I went to the hairshow and it was amazing. I’m transitioning and the show had great resources and was very inspiring. Definitely going to make it an annual event to attend. All the best and keep up you fabulous blog. I know there are Black cultural centres in Canada (like the one in Montreal that I used to go to as a kid), but I’m looking for one in Toronto! 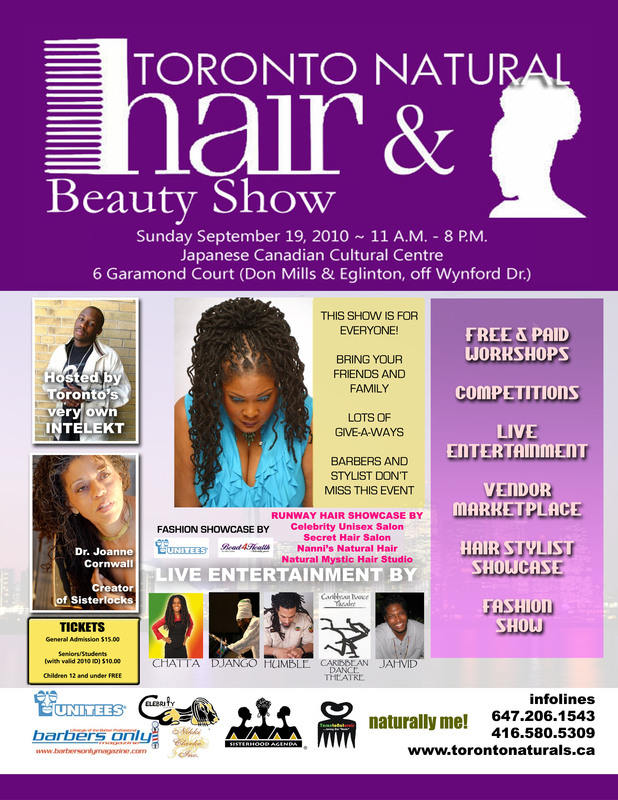 With as large a Black community as we have in the GTA, there should be a community centre where we can host our events. If I ever make it back to Nova Scotia, I’ll have to check out this spot. The hair show was good. I loved seeing all the naturals interacting with each other. Like all good things, they can get better. Check tomorrow for my review!